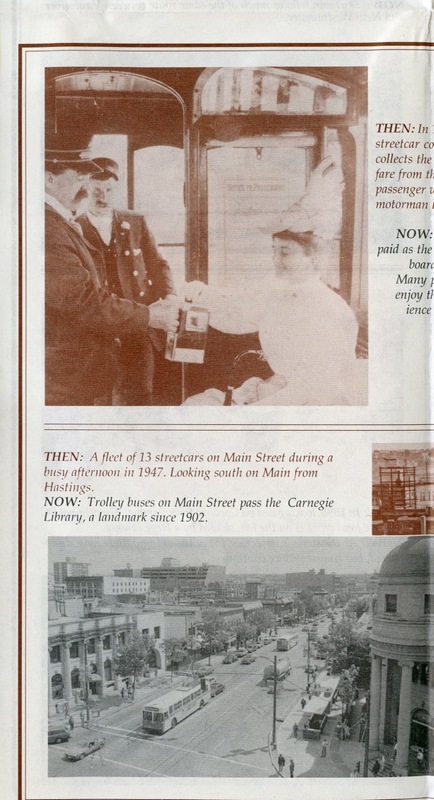 The Buzzer blog » Today marks 125 years of transit in the region! When you think about what can happen in 125 years, it boggles the mind! Now, think about how far transit and transportation has come since its humble, yet forward-thinking beginning. We can’t truly understand where we are or where we’re going without taking a look at where we’ve been! So, let’s do that! 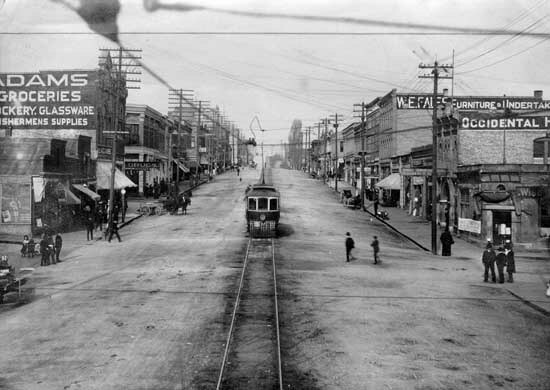 New Westminster, the oldest municipality in the province, started construction on a streetcar in 1890. It was then called an interurban and used electric rails above ground to connect residents from city to city. 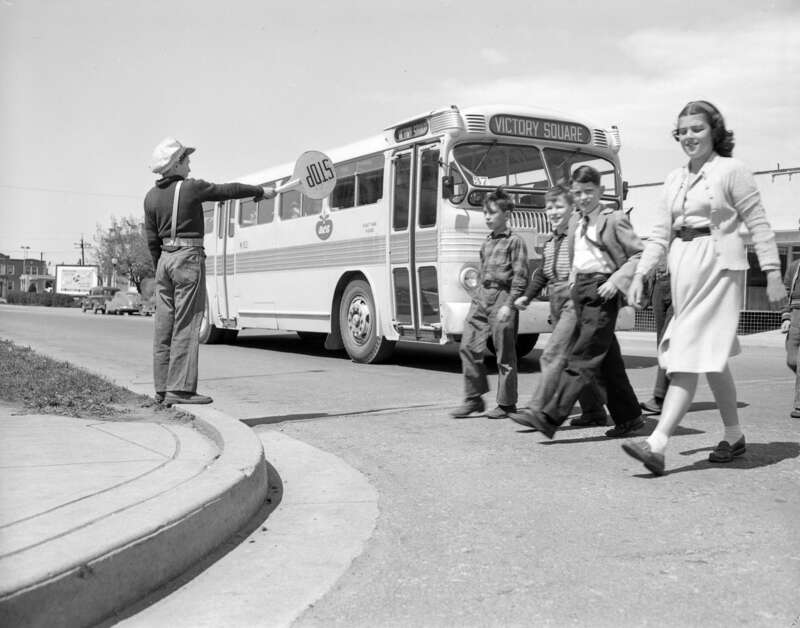 For 60 years, this mode of transit dominated the region until buses came around! Diesel and trolleybuses were used and allowed residents to venture around their neighbourhoods and even further out. Times changed again when we saw our SeaBus come into action and eventually our elevated rapid transit system, the SkyTrain. Public transit has really shaped the way this region has grown and will continue to grow! Take a look at some of these great photos throughout our transit journey. 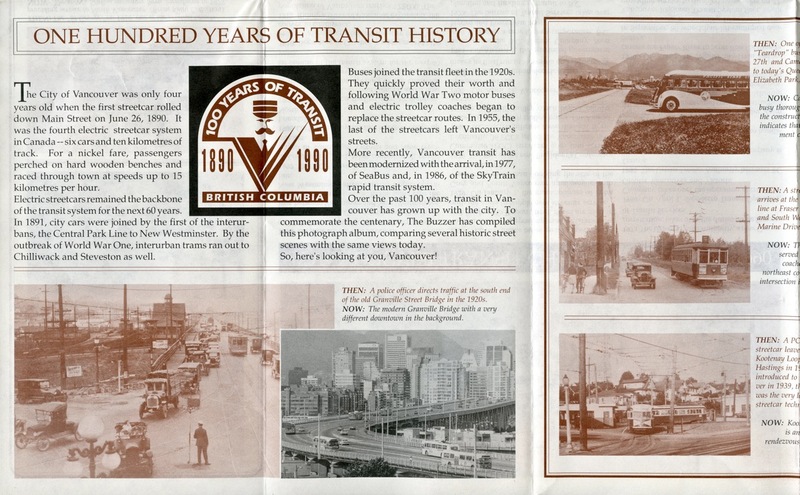 In 1990, there was a special edition of the print Buzzer released documenting the centennial of transit in the region. 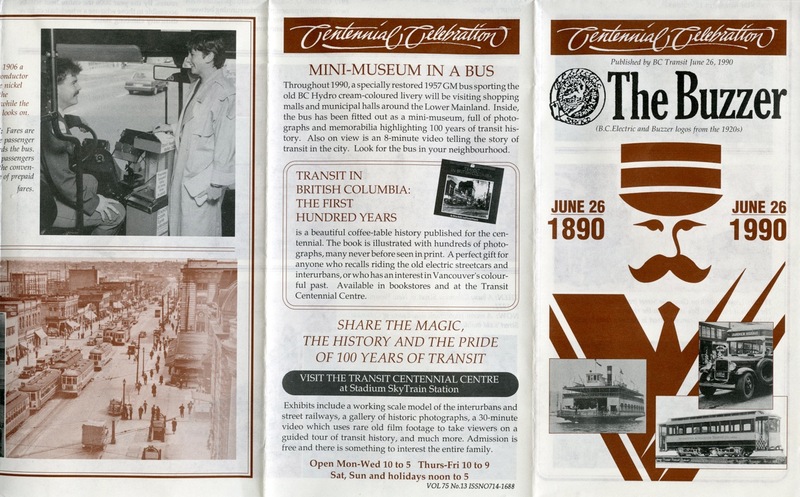 Keep your eyes open on the Buzzer along with our Twitter, Instagram and Facebook pages throughout the summer for lots of fun events celebrating our transit history! Also, make sure you don’t miss the free vintage bus ride on Sunday!